He hasn’t always been lovelorn! 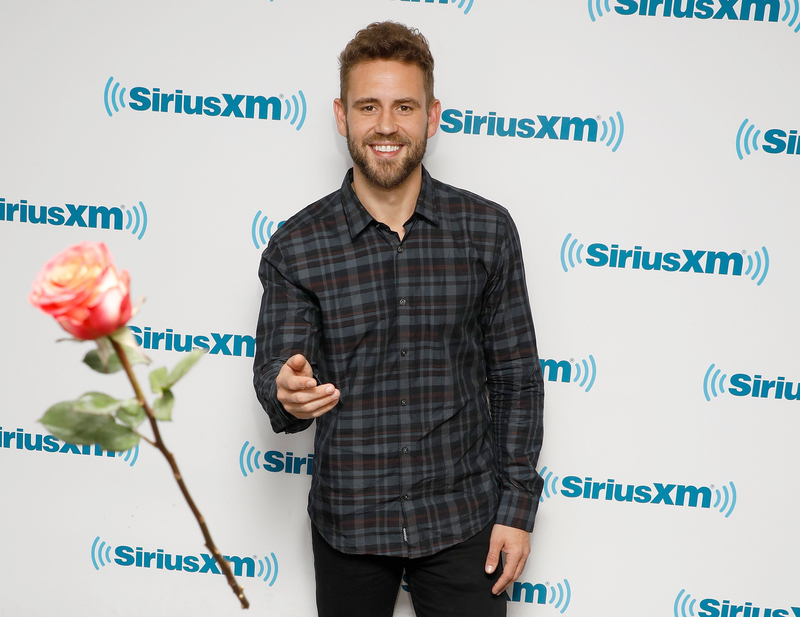 The Bachelor‘s Nick Viall lays sweet lines on Us by sharing 25 things you might not know about him in this week’s issue. Be sure to catch the franchise vet, 36, as he tries to find love on this season’s The Bachelor, which airs on ABC Mondays at 8 p.m.
1. I’ve never said no to a Chipotle meal. 2. My first kiss was when I was 14. 3. I memorized choreography from a workout video and performed it at a school dance when I was 15. 4. I don’t believe in fate; I believe in my decisions. 5. I love going roller-skating and will show off my skills any chance I get. 6. My favorite holiday is the 4th of July. I’m pretty patriotic! 7. My favorite snack is whole-wheat toast and peanut butter topped with sliced pickles. 8. The best gift I ever got was a professional drawing table. It really inspired me to be more creative growing up. 9. I had terrible asthma as a kid, but I grew out of it. 10. I wanted to be a cartoonist for Disney as a kid. And I used to know all of the Disney songs by heart. 11. G.I. Joe was my favorite toy as a kid. 13. I only drink hot coffee, even if it’s 95 degrees outside. 14. I have a man crush on Brad Pitt. 15. If I could have a super-power, it would be teleportation. 16. My nickname in high school was “Lunches” because I loved juice boxes that my brother thought were for children’s lunches. 17. My favorite place growing up in Wisconsin was my grandparents’ lake house. 18. I like to be the big spoon in bed, but sometimes it’s nice to go little. 19. I wish I could sing. 20. My favorite film is Quentin Tarantino’s 1993 movie True Romance. 21. I once won Clue on my first turn. 22. My first car was a 1980 orange Toyota Tercel hatchback. Its name was Jose. 23. I ripped my big toe off playing volleyball. Don’t worry: They reattached it. 24. The fastest mile I’ve run to date is 4:22. 25. My last meal would be thin-crust pizza with red wine. Cabernet, to be specific.